Travel always creates hunger. After a trip on Ohsabanan it can be pleasant to sit yoursefl down with a cup of tea or coffe, a sandwich or bun, or possibly watch the railway with an ice-cream in your hand. 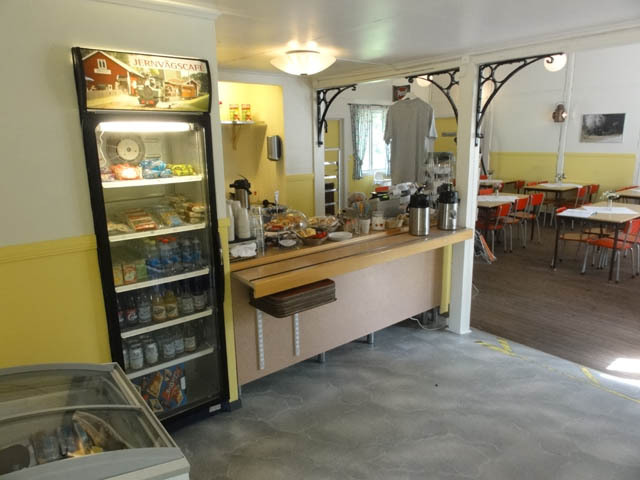 In the former goods shed opposite the platform in Ohs lies our own railway café. As well as an assortment of light refreshments you will also find postcards, books and films (mostly in Swedish) along the same theme.